Welcome to Reiser Stables Sales Page! Reiser Stables offers the following American Saddlebreds For Sale. These horses range in ALL price points, divisions & levels of suitability. 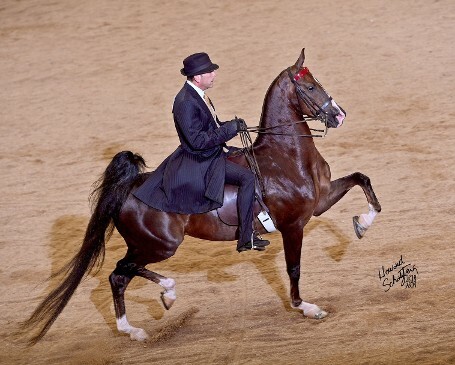 This expressive and talented star is ready to take your rider to the winner's circle. 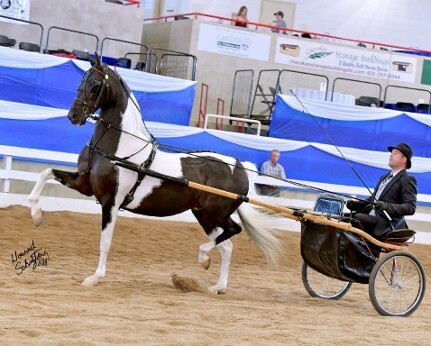 Whether in the three-gaited or park division, for your amateur or juvenile; Nuttin' But Roses is the fresh face you are looking for in your show string. Nuttin' But Roses has fantastic motion off of both ends, and never drops an ear. 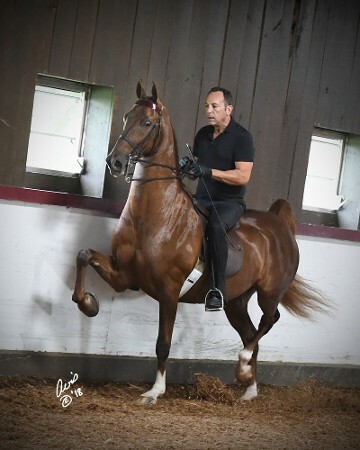 In the last few years, this impressive gelding has amassed wins or reserves at River Ridge, Rock Creek, Blue Ridge Charity, Lawrenceburg, Southern Saddlebred Fall Finale, Bourbon County, and Blue Ribbon Springtime Classic. 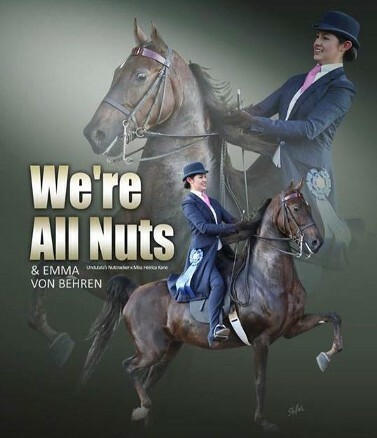 This expressive horse can do it all! 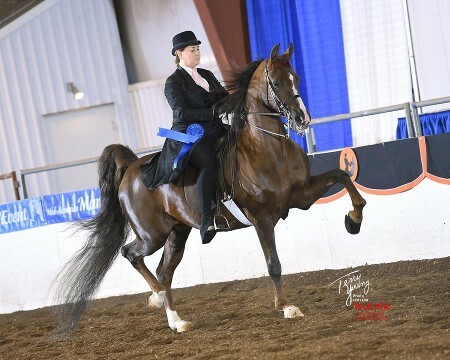 This gelding has been shown in all divisions from three gaited to a multitude of pleasure divisions, with all levels of riders. He never drops an ear, and trots above level with ease. Through his career, he has had wins and reserves at Mid-America Mane Event, Indianapolis Charity, Chattanooga Charity, ProAm, Mercer County, Shelbyville, The May Classic Horse Show, and Shelby County Fair. This exceptionally well-bred mare has been a champion in driving as well as under saddle classes with all levels of riders/drivers. In her career, she has had top ribbons from the West to East coast at such shows as Santa Barbara, Jingle Bell, Dayton, Blue Ridge Charity, and Brown County. This wonderful mare needs no introduction. Being a Reserve World Champion in the 13 & Under Country Pleasure division in 2016; she has amassed a wonderful record throughout Riding and Driving in Multiple Pleasure Divisions, as well as Equitation. Extremely talented off both ends, she has the athleticism to get noted in any class. Suitable for any level of rider, she would be a wonderful asset to any show string. This long necked gelding, will make a fantastic horse in any pleasure division. He has the size, and the look to stand out in any crowd. If you are looking for a new fresh face for any pleasure division, look no further. Please use the form below to request any Sales Information from Reiser Stables. Please hit "Submit" at completion, as a confirmation will follow.